Sometimes its the simple things that are struggled with. RIP is one of those. Most CCIE candidates understand that we can change the interface or global parameters for updates, unicast, multicast, etc. What does take some time, is figuring out the global timers, especially if a person is not sure how they interact. In this post, we will address the RIP process level timers for update, invalid, hold down and flush. I don’t want you to sleep during this, so we will save that one for later. Here is our topology. Keep your attention on R2, and that will be the focal point for this lesson. Let’s set up some unique values, so we can see the results. We will use 30, 40, 10 and 90 respectively. 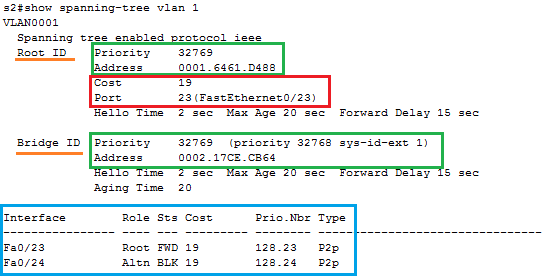 We can see the results of our changes with show ip protocols. We can see that R2 is learning 2 routes from R3, the 10.33.0.0/24 and 10.77.0.0/24 R2 received the last update 7 seconds ago, based on the output. Let’s enable debugging so we can see the play by play. Here is an update from R3. Notice the time stamp of 1:24:23. This will be the last one sent from R3. 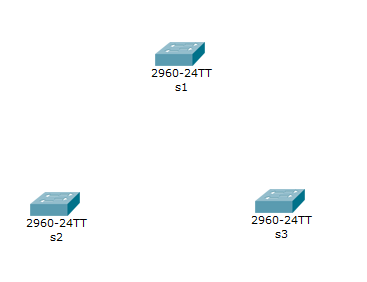 (Because we’ll configure R3 to go passive in a moment). Also, notice that we are sending and update as well. An update schedule of 30 seconds, based on the RFC for RIP, may be 30 seconds, + or – 5 seconds, to avoid synchronization. Let’s focus on the learned 10.77.0.0 network with a hop count of 8. After the update from R3, learned on Fa0/0, I used the passive-interface default command on R3 inside of the router rip process. While we wait for the invalid time to occur, due to the missing routes, we can entertain ourselves by seeing updates being sent from R2, at 30 second intervals. R2 advertises a poisoned route for the networks in hold down. This is a triggered update, and not based on the normal 30 second update timer. 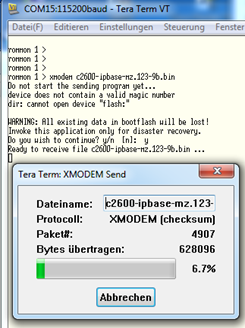 R1, sends us a poison-reverse update, regarding the same networks. This intentionally overrides the split horizon rule which is in place on Ethernet interfaces by default. Another normal update, being sent by R2, including the poisoned routes. While the routes are in hold down, the router still forwards packets to those networks, based on the last information that it last learned about how to reach those networks. The routes will show up as “possibly down”. So were is the removal of the hold down. The timer was only 10 seconds? Better late than never. Even though the hold down timer was set to 10 seconds, the hold down timer has to expire and then the next poisoned route received causes the routes to be removed from hold down. Our routes went into hold down at 25:03, it is now 25:36. Regardless of the hold down timer setting, if we didn’t receive any poisoned updates from neighbors, the hold down would stay until the flush timer removes the route completely. Even though the routes are done with their hold down, R2 still will show the route as possibly down, and will continue to do so until the flush timer expires. Based on the last valid update of 1:24:23, and now that it is 1:25:53, 90 seconds are up (flush timer) and the routes are deleted. 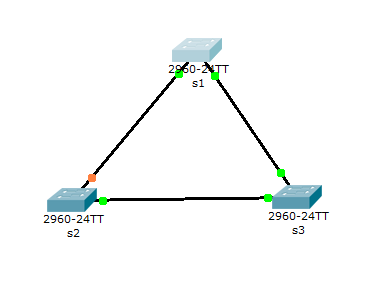 Now the routes don’t show up in the routing table either. 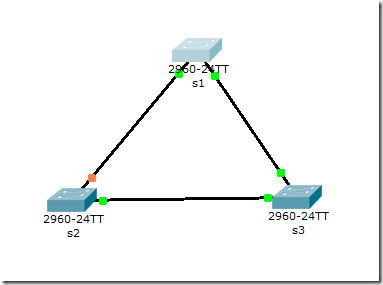 R2(config-router)#timers basic 30 40 10 90 ? 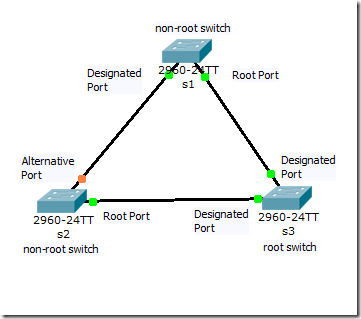 Port security is a layer two traffic control feature on Cisco Catalyst switches. It enables an administrator configure individual switch ports to allow only a specified number of source MAC addresses ingressing the port. Its primary use is to deter the addition by users of „dumb“ switches to illegally extend the reach of the network (e.g. so that two or three users can share a single access port). The addition of unmanaged devices complicates troubleshooting by administrators and is best avoided. Although only a single interface is used for illustration in this article, port security, if configured, is typically configured on all user-facing interfaces. %PORT_SECURITY-2-PSECURE_VIOLATION: Security violation occurred, caused by MAC address 0021.55c8.f13c on port FastEthernet0/13. By default, a port security violation forces the interface into the error-disabled state. An administrator must re-enable the port manually by issuing the shutdown interface command followed by no shutdown. This must be done after the offending host has been removed, or the violation will be triggered again as soon as the second host sends another frame. shutdown (default) ; The interface is placed into the error-disabled state, blocking all traffic. protect ; Frames from MAC addresses other than the allowed addresses are dropped; traffic from allowed addresses is permitted to pass normally. restrict ; Like protect mode, but generates a syslog message and increases the violation counter. Unfortunately, violating traffic will continue to trigger log notifications, and the violation counter will continue to increase, until the violating host is dealt with. 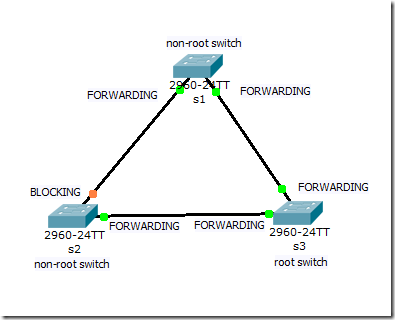 An administrator has the option of statically configuring allowed MAC addresses per interface. 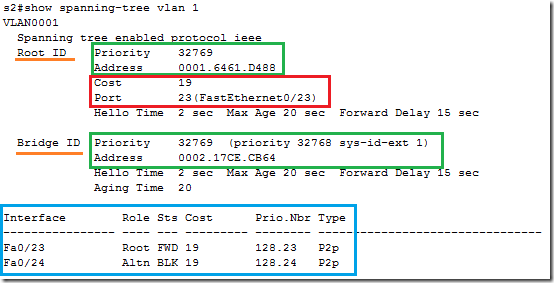 MAC addresses can optionally be configured per VLAN (access or voice). Obviously, this is not a scalable practice. A much more convenient alternative is to enable „sticky“ MAC address learning; MAC addresses will be dynamically learned until the maximum limit for the interface is reached. At this point, the old address will be re-learned the next time a frame is sent from that host, or a new host can take its place. This is a great way to automatically clear port security violations after the user has been given an opportunity to remove the offending host(s). Note that is the cause is not cleared, the violation will trigger again after the port comes back up, re-initating the auto-recovery cycle. 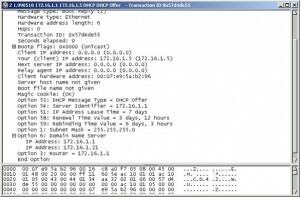 Although a deterrent, port security is not a reliable security feature, as MAC addresses are trivially spoofed, and multiple hosts can still easily be hidden behind a small router. IEEE 802.1X is a much more robust access edge security solution. 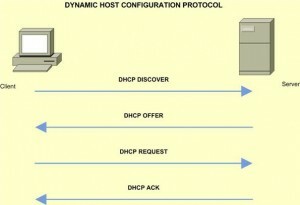 The Dynamic Host Configuration Protocol (DHCP) is considered to be an evolution of the Bootstrap Protocol (BootP). DHCP is literally build upon BootP, and BootP remains an internal part of DHCP. Both protocols have been created to provide IP addresses to clients when needed. The difference between them is that while BootP provides an IP address to a client according to the client’s hardware address on the BootP server table, DHCP by default provides an IP address automatically to the client from a pool of IP addresses. Besides an IP address, the DHCP server can provide the client a lot of information, such as DNS server IP address, Default gateway IP address, Domain name and much more. Cisco IOS devices can be configured to act as all of the above and even in combinations of two or three of roles. 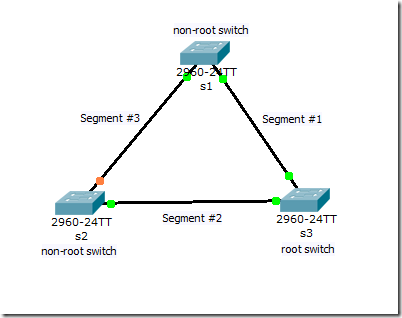 In this article I will investigate the operation of Cisco routers under all of the above roles. 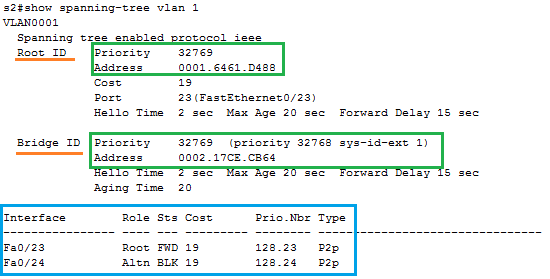 Details on the DHCP Offer message sent by the Cisco router can be seen below. 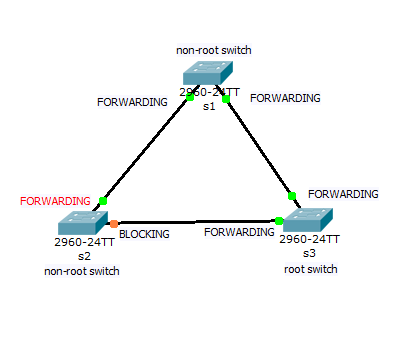 Make a note of the client’s offered IP address (172.16.1.5), option 3 – default router’s address, option 51- IP address lease time, option 6 – IP addresses of DNS servers. 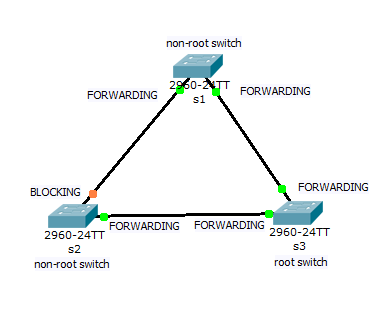 A Cisco router can be configured to act as DHCP client and obtain dynamically an interface address by using the command ip address dhcp in interface configuration mode. 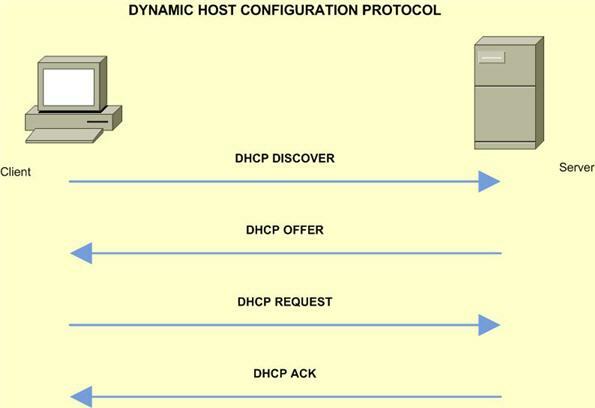 Issuing this command causes the router to transmit DHCP Discover messages on the specific interface. By default routers do not forward broadcasts. 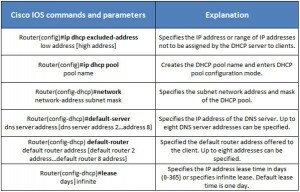 In internetworks, most of the times, a DHCP server is located on a different network than the majority of its clients. 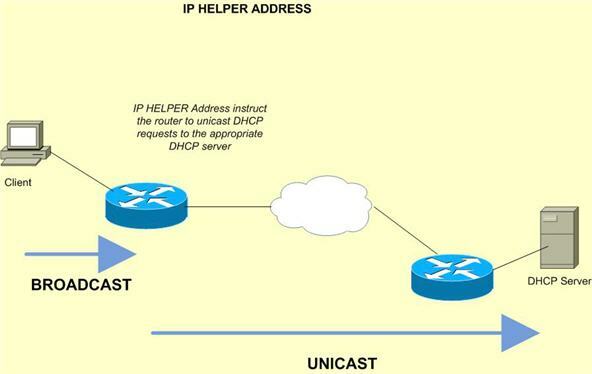 For DHCP messages to be able to reach the server, configuration of IP helper addresses is required. IP helper address [DHCP server IP address] interface command instructs a router to intercept DHCP broadcast messages and forward them as unicasts to the DHCP server hence providing “relay” functionality. 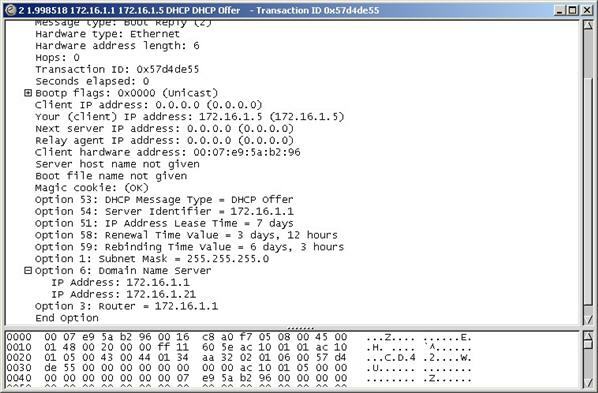 DHCP relay agents provide extra security to the network by hiding the server’s IP address from the clients. The client knows only the IP address of the relay agent. The image below shows a common scenario where IP helper address is required. 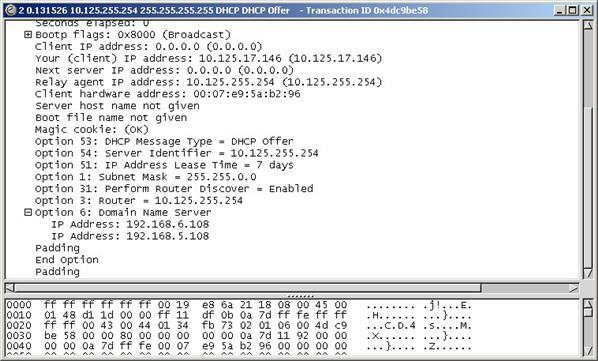 The next image shows an IP DHCP Offer message as received on the client. Note the IP address of the relay agent specified in the message. The client with the help of IP helper address on the relay agent is able to receive its IP address and all other information options provided. 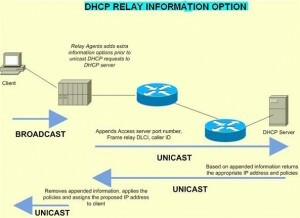 Telecom companies use the services provided by DHCP relay agents extensively. Specifically the ip dhcp relay information option global configuration command which enables the DHCP relay agent to include information about itself to the DHCP requests sent from clients to DHCP server. 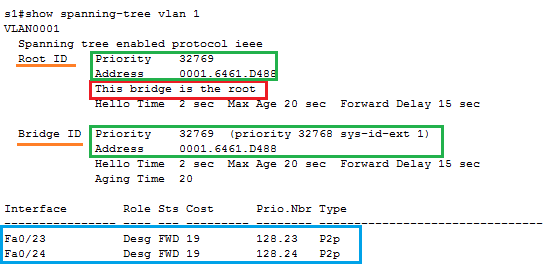 This is very useful for telecom operators when ATM routed bridge encapsulation (RBE) is used so that ATM interface and PVC over which the DHCP request came in is transmitted to the server from the relay agent. 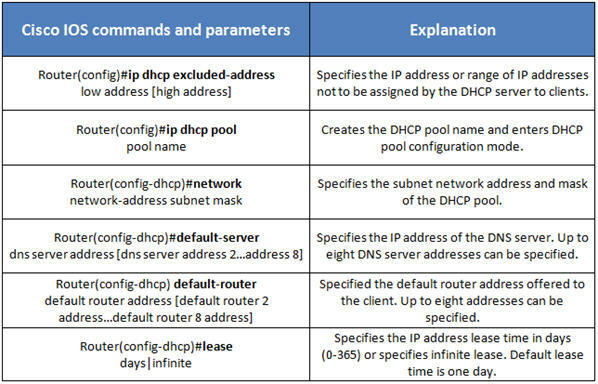 This information can be used to authenticate the client and help the DHCP server to apply the appropriate policy decisions. The image below shows schematically the DHCP relay information option concept. 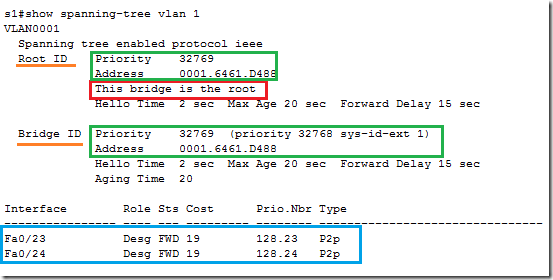 DHCP functionality can be reliably configured on Cisco IOS devices. Cisco devices can be configured to act as DHCP servers, DHCP clients, or DHCP relay agents or even a combination of these. DHCP options like DNS servers, Domain name, lease time, etc. 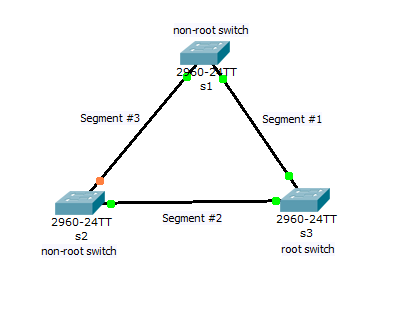 can be configured on Cisco devices. IP helper address activates the DHCP relay agent functionality on Cisco devices. DHCP relay agent options can be activated on Cisco devices so that supplementary services such as RBE functionality could be effective. Bei einem Switch ist der Ablauf etwas anders. Den “Mode” Knoopf gedrückt halten und den Switch an Strom anschliessen, Knopf gedrückt halten.